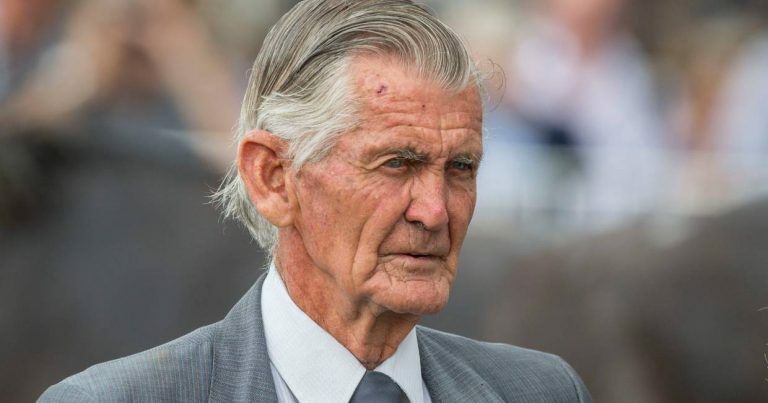 Trevor McKee, one of the icons of New Zealand thoroughbred racing, died today after a lengthy illness. He was 81. McKee was born in the Thames Valley area and was a successful jockey before increasing weight saw him take up training. Proud Chief is said to be the horse that kick-started McKee’s illustrious training career, with that horse including the 1968 Avondale Cup and Watkins Handicap at Trentham among his major victories. McKee chalked up more than 1200 wins as a trainer and attained major successes in New Zealand, Australia and Hong Kong. He was joined in partnership by his son Stephen in the late 1990s and together they prepared the champion mare Sunline to win 32 races from 48 starts. Sunline amassed more than $11million in stakemoney, which was a New Zealand record at that time. She won back-to-back Cox Plates at Moonee Valley in 1999 and 2000 as well as two Group 1 Doncaster Miles in Sydney and the Group 1 Hong Kong Mile. Trevor McKee officially retired from training in 2006, but continued to assist in his son at his stable and regularly drove the horse float that transported Stephen’s horses to and from race meetings. 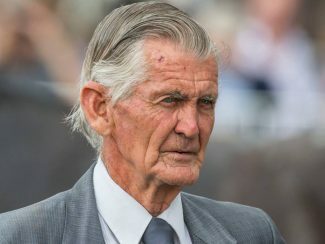 New Zealand Thoroughbred Racing bestowed a special honour on him in 2012 when he was presented with an award for his outstanding contribution to the industry. He suffered a stroke in 2018 and had been battling with ill health since.